Why do some attorneys decide to quit their law firm instead of taking some time off to recharge themselves? This is because, according to some attorneys, law firms frown on their attorneys taking large chunks of time off for anything other than a life-changing event. This is also true for attorneys who take a hiatus from their entire law practice. If you do this, you might find it difficult to get another law firm job. It is becoming increasingly common for attorneys desiring more than a few weeks off from the practice of law to simply quit their current jobs and take a hiatus from practicing law. Unlike some other professions, most law firms do not look favorably upon attorneys' taking more than a few weeks off unless they are involved in "a major life event." In the calculus of most law firms, a "major life event" is primarily limited to such circumstances as the death of a close family member (usually a spouse), a life-threatening illness, or the birth of a child (only if you are a woman). Accordingly, practicing attorneys without such explanations often simply quit, explaining to flabbergasted partners that they want to take some time off for travel or reflection—they need a hiatus from practicing law. The logic most attorneys follow in quitting is that if they take significant time off from their current firm under any guise other than one of these life-changing events, they will harm their chances for advancement in their current firm's eyes, and therefore, they need to quit completely and find a new law firm once they are ready to return to legal practice. Given the way that law firm politics generally work, that logic is pretty accurate. As a hardworking attorney in a major firm, you may feel you have earned time off after enduring inhumane working hours and stress for a year or more. We do not dispute that taking a break is something you may vitally need. Firm-related stress is so extreme that we have known of attorneys in the past who have had nervous breakdowns. If you are facing such emotional difficulties, your belief might be that taking a leave of absence will allow you to return to the practice of law energized and ready for new heights of achievement. Indeed, many attorneys who have taken a hiatus from practicing law and successfully returned describe their time off as one of the most valuable things they have ever done for their careers. In many other professions (such as working as a professor in a major university), sabbaticals of a year or more are often imposed as a job requirement once every few years in the belief that they will return to their jobs more focused and with a new perspective on their work. The purpose of this article is to discuss (1) reasons you should not leave your current firm and take time off and (2) factors firms will consider in evaluating your candidacy after you have taken a leave of absence or extended time off. The legal profession is unique in many respects, and we do not believe that law firms should look upon taking significant time off as negatively as they do. 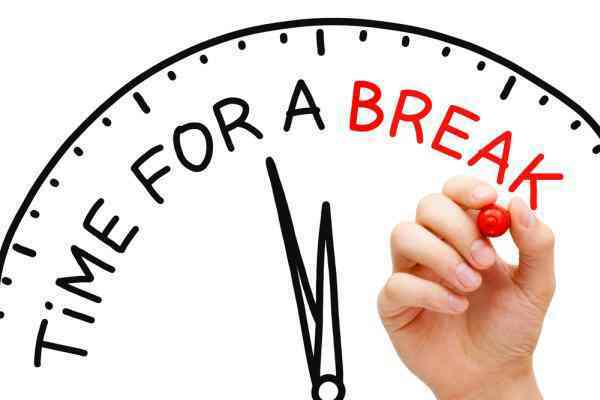 Nevertheless, firms do look negatively on taking significant time off. Some of the attorneys whose time off is self-imposed are often the most accomplished attorneys. With stellar academic and work backgrounds, they are under the impression that they are "golden" and will easily land on their feet again in the legal profession after time off. This thought process is problematic because once you are no longer practicing for a major firm for a few months, your odds of getting back in at a high level are severely diminished. We hate to be so frank about the fact that taking extended time off from the practice of law is a poor idea. Unless you have stellar reasons for doing so, however, taking extended time off from the practice of law is a very poor idea because once you are unemployed for a significant length of time, (1) future employers will presume that you were fired or have psychological issues, and (2) you will project to your next employer that the practice of law is not your all-consuming focus. Lawyers by nature are extremely skeptical individuals. This skepticism carries over into the way that they make hiring decisions. Despite the fact that a great number of attorneys practicing in large law firms is not at all happy, their thinking is that nobody in his/her right mind would possibly leave the practice of law voluntarily, unless (1) he/she were fired or (2) has psychological issues. Now at this point, we realize how this sounds. Nevertheless, we should be clear that this is how most lawyers in large law firms do in fact think. Understanding this psychology merits delving into many of the depths of what type of people lawyers are and what type of backgrounds they are likely to come from. First, most lawyers lead fairly conventional lives. They have mortgages and other responsibilities that merit their consistently working throughout their lives. Despite some public perceptions to the contrary, the practice of law as a whole is something that is a middle-class profession, made up (for the most part) of middle-class people. Lawyers support families and are dependent upon their paychecks in order to maintain certain lifestyles. Most lawyers do not have the luxury of simply picking up and leaving the profession. In addition, because few lawyers have other marketable skills, they are very dependent upon the practice of law for support. When you add the modern-day responsibilities of paying off student loans, you can see that most lawyers are highly leveraged as a group and need to work in order to live the lives they lead. As a consequence, the idea that an attorney would voluntarily choose not to work is something that most other attorneys (with their own attendant responsibilities) simply often cannot believe. The prevalent thinking is if the attorney is not working, he/she must have been fired, or barring that, he/she must have had a nervous breakdown. This logic can be compared with archaic legal systems where you are guilty until proven innocent. Due to the very career path they have chosen, most lawyers in large law firms tend to be quite middle-class. For example, the mantra "Work hard in school, and you will succeed" is something that most attorneys followed religiously throughout their schooling. This same mantra is based on the presupposition that by working hard in school, you will put yourself in a position to be hired by others and that others will judge you worthy of receiving a high salary. By definition, the middle-class is based upon a great deal of conformity. In some respects, the legal profession can be compared to a medieval guild, where once you leave, you are not allowed back in. As an attorney working in a large law firm, you are most likely to be servicing extremely wealthy individuals and corporations (often owned by extremely wealthy stockholders and run by very highly compensated CEOs). Most good attorneys get a real sense of importance out of their associations and work in service of these corporations and wealthy individuals. In addition, the sense of security most attorneys get in their profession is something that is imposed by forces beyond their control, such as whether wealthy clients desire their services. The decision-making process that attorneys follow in their career paths can be contrasted with the logic that most significant entrepreneurs followed in their rise to success. Bill Gates, for example, never finished college. The list of the wealthiest people, those that are considered the upper-class in American society, is made up of individuals who probably would not attribute their success to others' simply looking favorably upon their efforts. In addition, despite the stratospheric salaries of attorneys, of the richest people in the world, very few of these people made their wealth working for others. Accordingly, most attorneys have drilled into their very psyches the importance of working for others and being seen with favor in their employers' eyes. Most attorneys believe they should always be seen with favor by others, and the idea that an attorney could possibly put him/herself outside of an environment where he/she is being judged and rewarded by others is something that is difficult for many other attorneys to comprehend. Just as a middle-class person would likely be judgmental against another middle-class person wearing an ascot or sitting on his/her front porch in a cowboy hat drinking whiskey and listening to country music, so too is he/she judgmental against attorneys voluntarily choosing to take significant time off from the practice of law. While we realize that this class-based analysis is something that understandably may make many people uncomfortable, the fact is that it does exist. It has often been said that the upper-class and the lower-class in America are more like each other than they are like the middle-class. The driving factor in this observation has been that the upper- and lower-classes typically do not care what others think about them. The middle class, in contrast, is defined by what others think of them, from what kind of neighborhood they live in to what type of car they drive, whether they went to college, where they went to college, and so forth. In the legal profession, just like the distinctions within the class system, lawyers have a tremendous amount of concern for falling in the parameters of what is expected. Here, it is expected that you will not leave the practice of law. start work in a large law firm, you are, in many respects, under a microscope; and things like your work product, how many hours you bill, how you relate to others, how you prioritize the firm, and even how stable and outgoing you appear in the community are factors of paramount importance in a large law firm's evaluation of you. You need to understand one of the reasons that lawyers are so judgmental of one another is due to the fact that every associate is competing to be partner. Because this is something that is extremely difficult to achieve, partners (and other associates) are always looking for reasons to disqualify rising attorneys from this race. Similarly, at the partner level, partners are competing for a share of firm's profits and are always looking for a reason to give other partners a smaller percentage. If you eliminate yourself from this competitive environment, the message you are sending to other lawyers is that the law is not your number-one priority. Despite talk about collegial environments, reduced hours, and so forth, virtually every significant law firm expects you to be totally dedicated to the practice of law. Once you send the message that you are not, you have likely done yourself significant harm. There are certainly other reasons why taking a hiatus from practicing law is considered a negative thing by other attorneys; however, we have hit upon what we believe are the most important above. It is important to note that among the reasons mentioned above, nowhere is there any reference to the suggestion that your skills might deteriorate after having been out of the legal field for a significant period of time. This would, in fact, be quite a legitimate concern for most law firms to have. As legal recruiters, we find this particular fact quite interesting. Firms typically do not show a great deal of concern for deteriorating skills, while they typically are quite concerned about things such as your commitment and whether or not you might have been fired. We do not need to tell you that a lot of this does not make much sense to us either; nevertheless, when evaluated as part of the class and/or guild structure of the profession, it should begin to make more sense. Despite whatever interests you might have had in time off, you need to remember that many lawyers in large law firms are quite one-dimensional. These lawyers are so focused upon work that leaving their jobs without another job would simply violate their thought processes, which consider work and not reflection, to be far more important. Nothing is impossible, but it is somewhat unlikely that you will land a job at another top law firm if you have taken an extended hiatus from the practice of law. How long is too long? While the number can certainly vary, if you have been out of work for more than three or four months, you are going to have a difficult time finding a position with another top firm. In its deliberation to extend an offer to a lateral associate who has taken an extended hiatus, a top firm considers several major factors. These factors are listed in their order of importance. 1. Does the firm accept the reasons you have given for your extended hiatus from the practice of law? There are reasons that firms consider acceptable for taking an extended hiatus, which are listed at the beginning of this article. The best reasons for taking an extended hiatus generally involve issues that are beyond the attorney's immediate control or do not reflect at all on their day-to-day commitments. To the extent that you have such reasons, they should be emphasized in any explanation that you provide to a new employer. Given the concerns employer will have that were elucidated above, you need to ensure that the reasons you give for your leave from the practice of law take the employer's concerns into account. 2. Are you likely to be stable in your next position? Another significant area of your resume that firms would critically assess deals with your stability. The fact that you left the practice of law for an extended period of time does reflect your potential future stability. However, you may have practiced for several years, and this one move may simply be an aberration in an otherwise very stable legal career and therefore discounted. Stability relates to your professional career as well as you personally. One factor that would reveal your stability is whether you have changed jobs and practice areas frequently throughout your career. If you have worked at three different firms since you graduated from law school about five years ago (and prior to taking your leave of absence), this would likely raise serious concerns in potential legal employers' minds. Conversely, if you practiced at the same firm for five years, left, and now want to return to the practice of law, this would be far less likely to raise concerns. If you have ever changed your job after just three to six months, it would not bode well for you either. Your potential stability is the biggest hurdle you will need to overcome in your return. Regardless of your reasons for leaving the practice of law, firms will closely scrutinize your experience. Despite all the objections that future law firms may have to the fact that you took considerable time off, they are still businesses and therefore are governed by the law of supply and demand. In addition, while some of the analysis in the preceding section may sound extraordinarily harsh, we place attorneys every month who have taken such hiatuses without any truly justifiable reasons. In almost all of these placements, however, the attorney we placed was in a practice group that was highly in demand. Therefore, in deciding whether or not to hire you after an extended leave from the practice of law, you will be scrutinized for your experience and whether or not attorneys with your particular skill set are in abundance or short supply. If the position calls for someone who has a specific experience, hopefully your resume will demonstrate your significant exposure to that practice area. If there is a demand for lawyers in a particular area of the law (such as bankruptcy in a bad economy or corporate in a healthy economy), law firms tend to be more lenient with respect to any issues with your experience. In addition, experience at a large or well-regarded law firm has value when a firm evaluates your resume. Litigators trained at well-regarded trial departments, such as Kirkland & Ellis or Jones Day , would always raise the interests of some firms, even after an extended hiatus. Also, length of experience at such firms is important. If you were practicing at the top firm for less than one year, the value of the training you may have received is discounted by the fact that you were there for such a short time. The type of experience you have is also analyzed with respect to geographic concerns. We recently saw an attorney who formerly practiced at one of the top two or three law firms in New York City and quit his job because he was having a difficult time dealing with the emotional difficulties of a divorce. 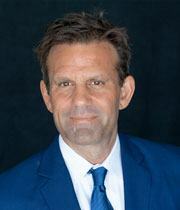 He was out of the practice of law for more than six months, and when he decided to return again, he applied to virtually every firm in New York City through a few recruiters (other than BCG Attorney Search) and was rejected by every single firm that interviewed him after they learned of his reason for leaving the law. Subsequently, this same attorney was placed in a law firm in a mid-sized city in the Midwest that was so excited to get him that they were putting him up in four-star hotels and flying him to interviews first-class. While he would not have received this same treatment in a larger market with an abundance of attorneys with similar experience such as Los Angeles, this attorney was in such high demand in this smaller market that he did not even have to explain his divorce. Every firm is asking whether the potential candidate possesses the requisite educational credentials that are consistent with the firm's current academic standards. The word "current" is used here because most firms, except for a small handful of firms in the United States, adjust their academic standards depending on their needs and the demand in the marketplace. During the late '90s, firms had piles of work, and the demand for lawyers was so intense, and the supply of able lawyers was so limited, that the firms had to loosen their stringent academic standards. The current climate is the opposite. With some exceptions, one would have to possess top academic credentials to raise the interests of top DC firms. The exceptions are for those hot practice areas, principally bankruptcy and patent prosecution/litigation in electrical arts. Even in these hot practice areas, solid academic credentials are expected. If you have truly outstanding educational qualifications, then firms will be far more likely to look the other way if you took extended time off. Law firms are businesses and are looking to maximize their returns on investments. An attorney with a good record at a top law school is something that the firm can use to market to its clients (and get more business) and that will make other attorneys in the firm feel good about the level of educational accomplishment that their fellow attorneys possess. Nevertheless, if the firm is under the impression that you are likely to leave if you are hired-no matter how good your educational qualifications are-the firm is unlikely to hire you. Out of all the attorneys we see who take extended, self-imposed hiatuses from the practice of law, a majority of them have some of the absolute best educational qualifications imaginable. It is our distinct impression that these same attorneys are under the impression that due to their outstanding educational qualifications, they are virtually invincible when it comes to getting a job with an important law firm. This line of thinking is quite arrogant and, quite frankly, wrong. If this article makes any point, it is that large law firms are businesses composed of groups of people that are expected to play by the rules. A related point is that success in an academic setting does not necessarily translate into success in a law firm environment. Indeed, some levels of academic success may actually hurt your level of achievement in a law firm. Many of the most prestigious law schools in the nation, including the University of Michigan and Harvard University, have notoriously liberal faculties who also have a strong anti-establishment outlook on the world. This same anti-establishment outlook often pervades their teaching, and in many cases, some of the most academically successful students coming out of these liberal-oriented institutions are the same students with the educational level of achievement that qualify them to work in large law firms. Conversely, the law firms that many of these students go to work for are quite conservative. In fact, many law firms are among the most conservative institutions there are. Liberal idealism does not always have a place in the way you need to think about your career inside a law firm and the decisions you make about how you interact with these conservative institutions once there. We only raise this point because each year, we see many otherwise highly qualified attorneys coming from extremely qualified liberal educational backgrounds make the decision to take an extended hiatus from the practice of law because they believe they can due to the strength of their academic backgrounds. These same attorneys' careers are often rapidly eclipsed by attorneys from second- and third-tier law schools who may not be as intelligent, but have the single-minded obsession with legal practice and do not share the arrogance that they are somehow above the rules of the law firm world. Taking a hiatus from the practice of law is a risky proposition. There are many reasons to take a hiatus that are considered legitimate to a law firm, but before you decide to give notice at your current firm, you need to think through this very carefully. The decision you reach could have long-lasting and significant consequences on your career. Due to the political forces at work inside most large law firms, many attorneys desiring a month or longer off from the practice of law will find another job before going on hiatus. These same attorneys then simply delay their start date at their new firm to give themselves enough time off to recalibrate and recharge. We are not sure if this is a good solution, but it is something that occurs with a surprising degree of frequency. Maybe this is something law firms bring upon themselves with the level of stress they subject their attorneys to. We should also note that many law firms will be understanding if you choose to take time off. In fact, some firms have recently begun requiring that you take a month or longer off (paid) every three to four years. Given the stresses associated with being an attorney, we think that these firms are making a very wise decision that undoubtedly will increase their retention efforts and create a better firm environment over the long term. Whatever decision you reach about quitting to take time off, we certainly hope you consider the issues involved very carefully before doing so. As recruiters, we have these types of discussions with attorneys throughout the country every day. Each situation is different, and you may be in a good position to take time off and have perfectly cognizable reasons for doing so. Just make sure that whatever decision you make, you know exactly what you are getting into.